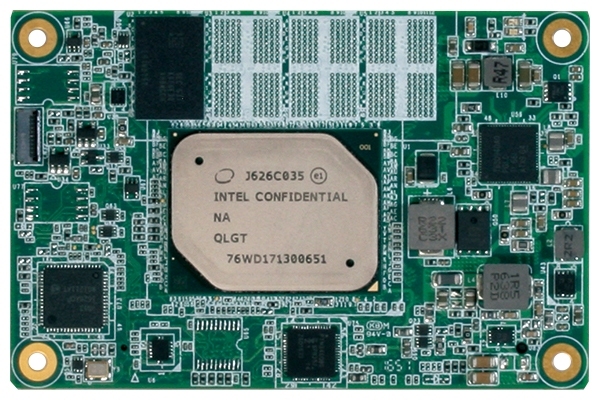 TQ Systems has released a COM Express Compact Type 6 module TQMx80UC based on the 8th generation Intel Core Mobile Processors code named “Whiskey-Lake U”. This module is well suited for industrial controllers, robotics applications, medical devices and point-of-sales. 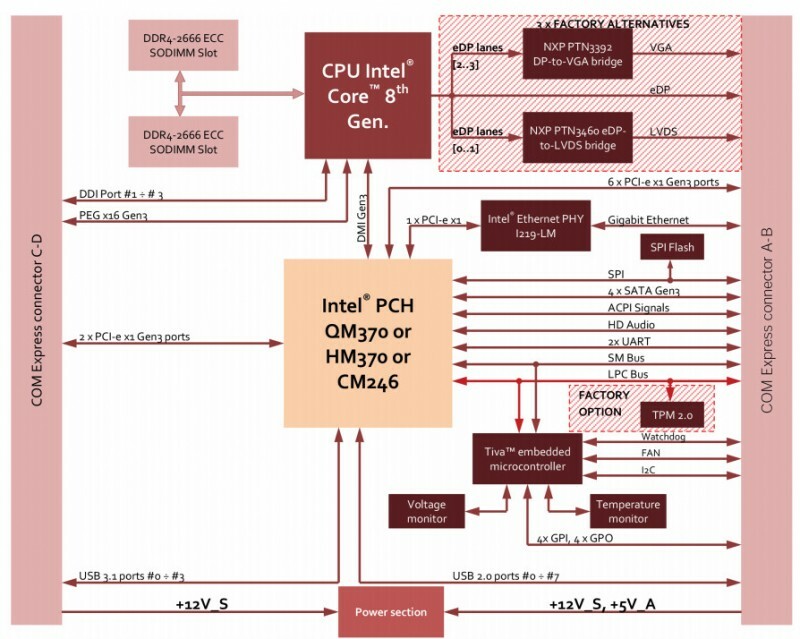 Depending on the required functionality and computing power, several CPU variants (i7, i5, i3, Pentium, Celeron) with two or four cores can be selected. 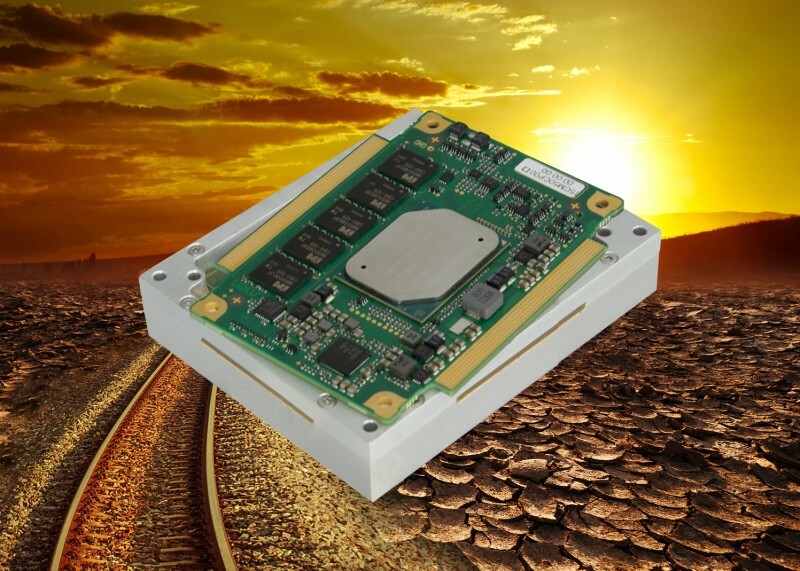 With a thermal power loss of 15 W TDP, four cores are now available for the first time in this performance class (previously two for the 7th generation U series). The memory interface is equipped with the fast DDR4-2400 technology. The memory capacity can be selected between 4 GB and 64 GB depending on the SO-DIMM modules used. 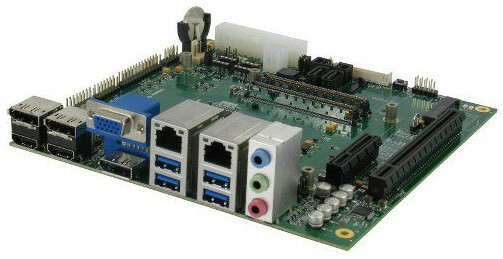 Up to nine PCI Express lanes (Gen3; 8 GHz) are available for connecting up to five peripheral devices and can be flexibly configured in the BIOS. 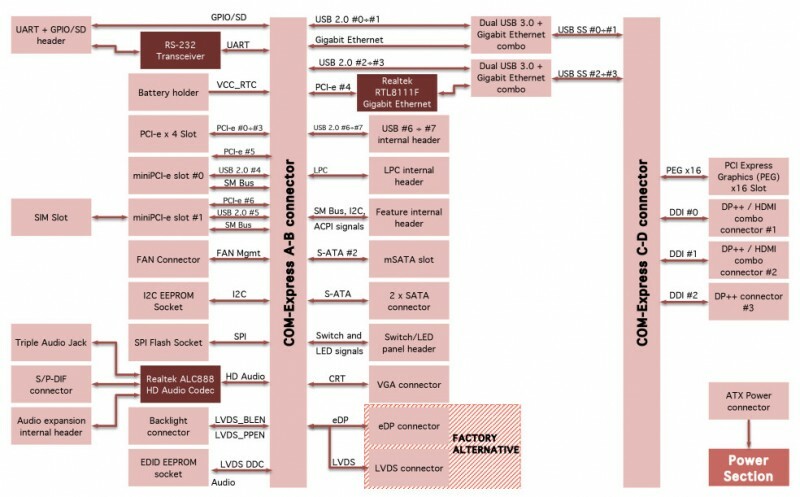 For the first time, the new USB 3.1 Gen2 standard is supported, which allows transfer rates of up to 10 Gbit/s. 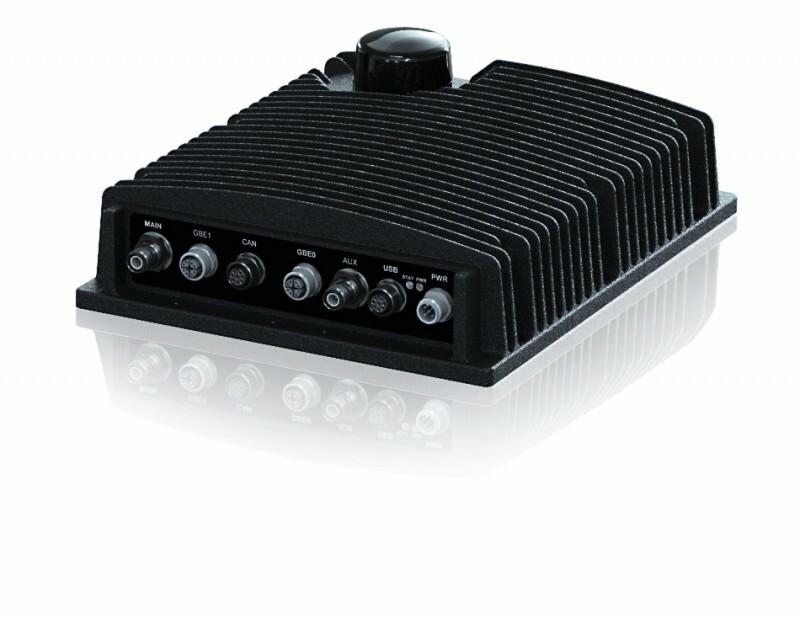 Four high-speed interfaces are available for this purpose. In addition, eMMC flash in sizes between 8 GB and 128 GB is available for the first time on the module. 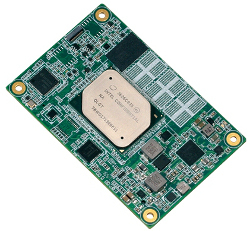 The COM Express Compact Module TQMx80UC with its dimensions of 95 mm x 95 mm and Type 6 pinout conforms to PICMG COM.0 R3.0. It is supported by the new TQ mainboard MB-COME6-3. 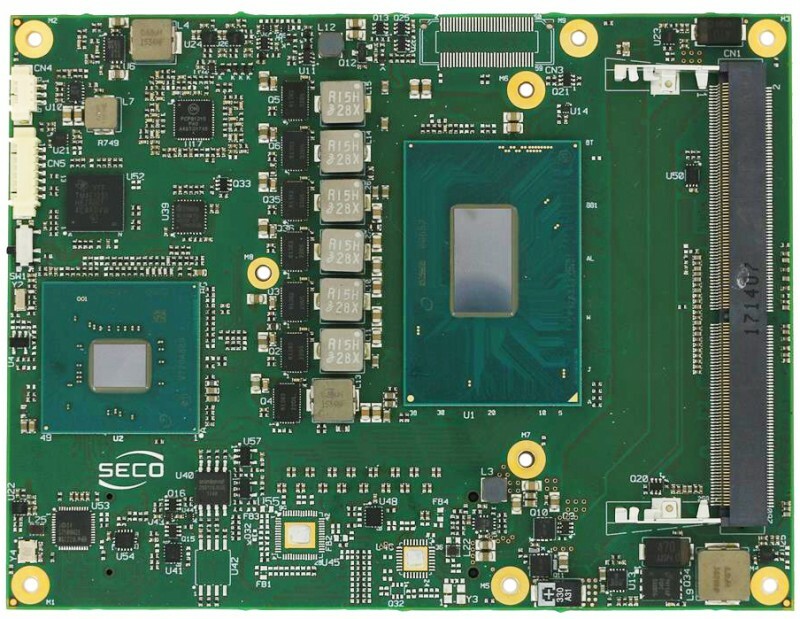 Together with a 11 mm high heatspreader and a heatsink, the combination of boards results in an effective evaluation platform. 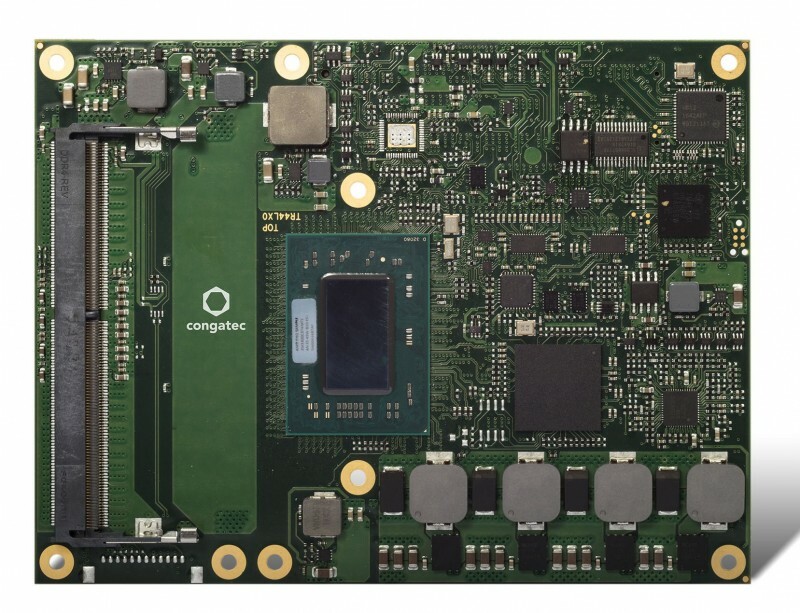 Congatec has announced that its Intel Atom C3000 processor-based conga-B7AC Server-on-Modules now support up to 96 GB DDR4 SO-DIMM memory on 3 sockets. This is twice the previously supported capacity. 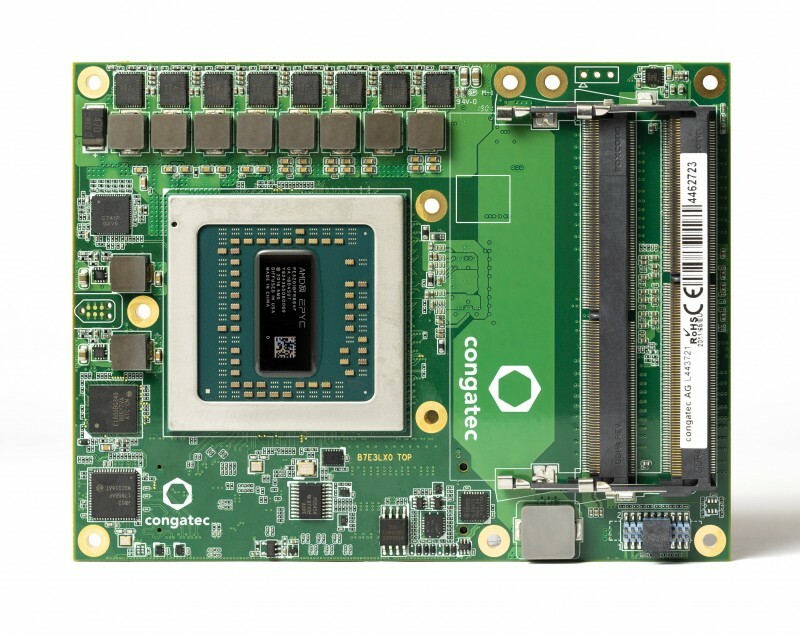 The company is touting this as a new milestone for COM Express Type 7 based designs, because memory is one of the most important performance levers for embedded edge server technologies. This increase was possible because the Intel Atom C3000 family supports the newly available 32 GB SO-DIMMs. The new Server-on-Modules with a high-speed memory bandwidth of 2400 MT/s are available now and can be ordered with and without ECC support. High memory capacity is essential for server applications, because the fastest way to read and write values from a database is to fully load them into memory, according to Congatec. The larger the databases, the more memory capacity is needed. There are many database applications in the field of embedded edge computing, such as network appliances for content delivery in video surveillance applications, IoT gateways or OPC UA servers in automation. A large RAM is also a good intermediate buffer for Big Data analytics on the fly so that only smaller results need to be stored. Servers that host many virtual machines also benefit immensely from the doubled memory capacity. With 96 GB RAM, 12 virtual machines now have 8 GB RAM available on each partition, making them well-suited for standard Linux or Windows installations. 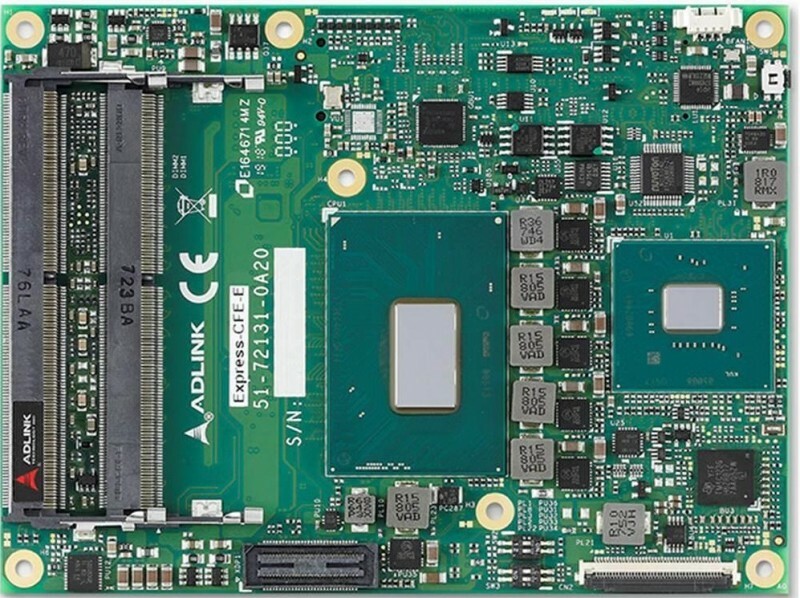 ADLINK has announced the addition of the quad-core Intel Core i3-8100H processor to its recently released Express-CF COM Express Basic size Type 6 module based on the 8th Generation Intel Core i5/i7 and Xeon processors (formerly Coffee Lake). 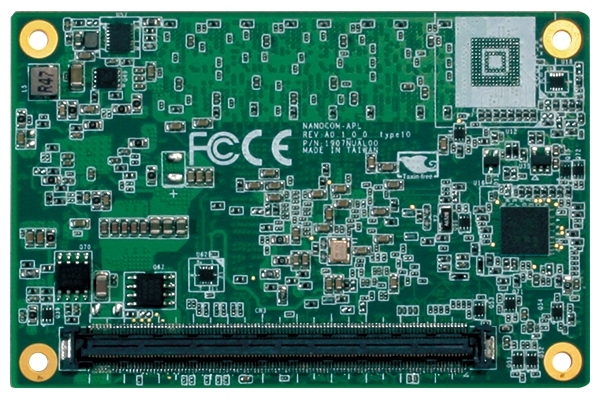 The Express-CF/CFE is the first COM Express COM.0 R3.0 Basic Size Type 6 module supporting the Hexa-core (6 cores) 64-bit 8th Generation Intel Core and Xeon processor (codename “Coffeelake-H”) with Mobile Intel QM370, HM370, CM246 chipset. 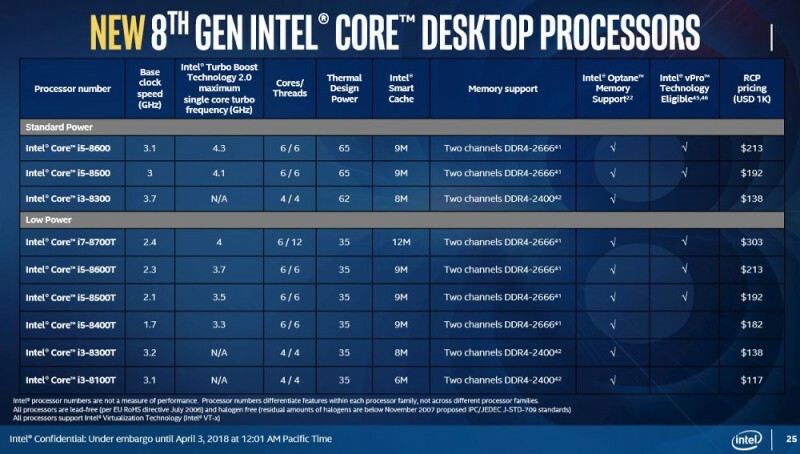 Whereas previous generations Intel Core i3 processors supported only dual cores with 3 MB cache, the Intel Core i3-8100H is the first in its class to support 4 CPU cores with 6 MB of cache. 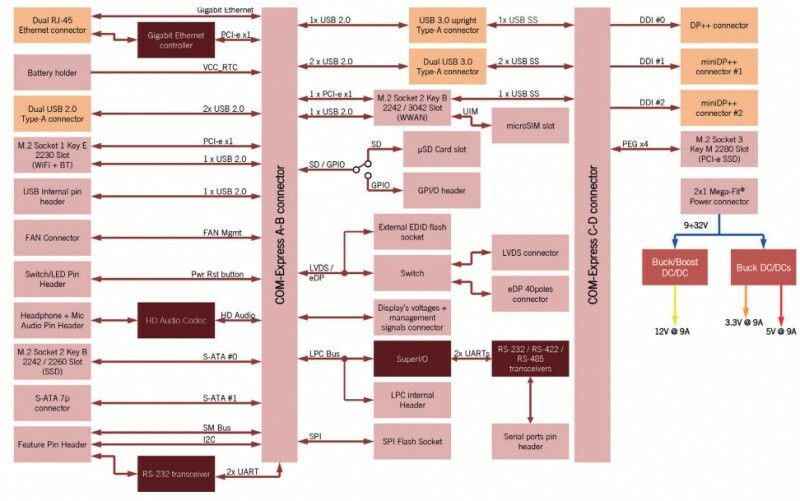 This major upgrade results in a more than 80% performance boost in MIPS (million instructions per second), and an almost doubling of memory/caching bandwidth, all at no significant cost increase compared to earlier generations. 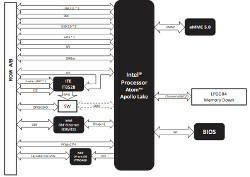 Intel Core i3 processors are widely recognized as the best valued processor and are therefore preferred in high-volume, cost-sensitive applications. They are popular choices in gaming, medical and industrial control. These Hexa-core processors support up to 12 threads (Intel Hyper-Threading Technology) as well as an impressive turbo boost of up to 4.4 GHz. These combined features make the Express- CF/CFE well suited to customers who need uncompromising system performance and responsiveness in a long product life solution. The Express-CF/CFE has up to three SODIMM sockets supporting up to 48 GB of DDR4 memory (two on top by default, one on bottom by build option) while still fully complying with PICMG COM.0 mechanical specifications. Modules equipped with the Xeon processor and CM246 Chipset support both ECC and non-ECC SODIMMs. Integrated Intel Generation 9 Graphics includes features such as OpenGL 4.5, DirectX 12/11, OpenCL 2.1/2.0/1.2, Intel Clear Video HD Technology, Advanced Scheduler 2.0, 1.0, XPDM support, and DirectX Video Acceleration (DXVA) support for full H.265/HEVC 10-bit, MPEG2 hardware codec. In addition, High Dynamic Range is supported for enhanced picture color and quality and digital content protection has been upgraded to HDCP 2.2. Graphics outputs include LVDS and three DDI ports supporting HDMI/DVI/DisplayPort and eDP/VGA as a build option. The Express-CF/CFE is specifically designed for customers with high-performance processing graphics requirements who want to outsource the custom core logic of their systems for reduced development time. 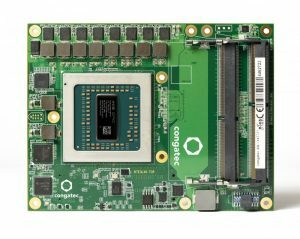 In addition to the onboard integrated graphics, a multiplexed PCIe x16 graphics bus is available for discrete graphics expansion. 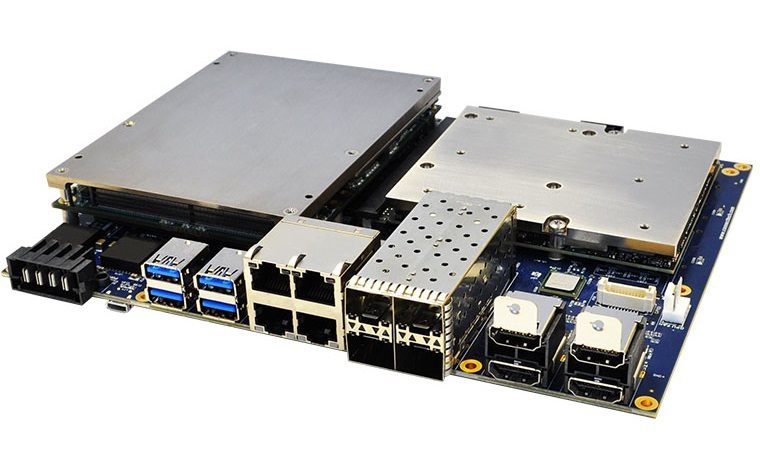 Input/output features include eight PCIe Gen3 lanes that can be used for NVMe SSD and Intel Optane memory, allowing applications access to the highest speed storage solutions and include a single onboard Gbit Ethernet port, USB 3.0 ports and USB 2.0 ports, and SATA 6 Gb/s ports. Support is provided for SMBus and I2C. 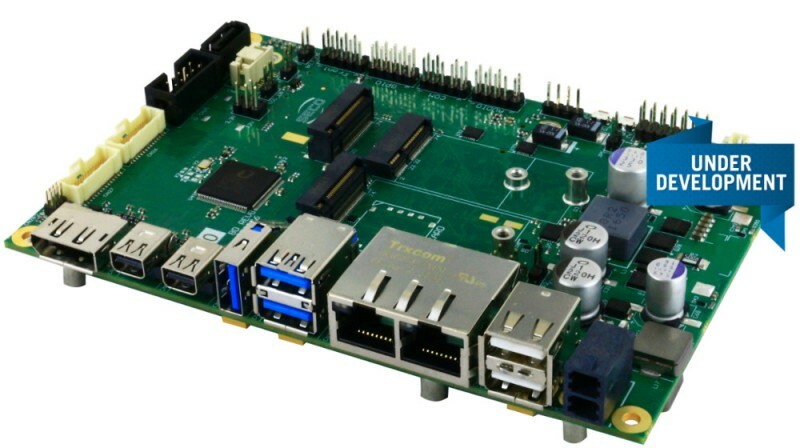 The module is equipped with SPI AMI EFI BIOS with CMOS backup, supporting embedded features such as remote console, hardware monitor and watchdog timer. 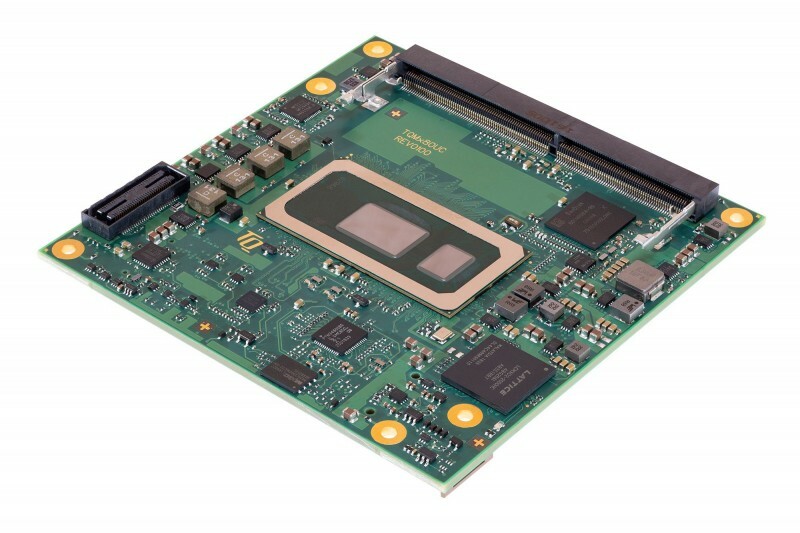 Avnet Integrated Solutions (MSC Technologies) has introduced a COM Express module (MSC C6B-CFLH) that features Intel Core-i7, Core-i5 and Xeon processors. They are designed to provide more processing power for target applications like medical, gaming, in-broadcasting and also in-media production equipment, video surveillance, traffic enforcement and for toll collect systems. 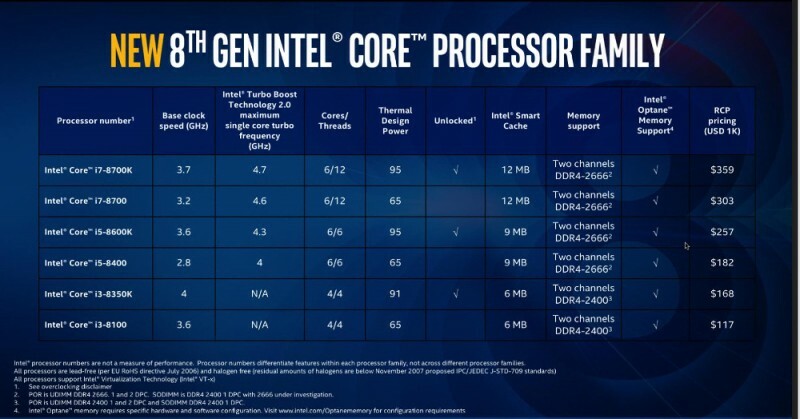 Based on the newly-announced 8th generation Intel Core processors, codenamed “Coffee Lake”, Intel’s new generation introduces six core processors and delivers considerably higher computing and graphics performance but at a similar power dissipation level to the previous 7th generation. Engineering samples of the COM Express module (MSC C6B-CFLH) will be available in the 2nd quarter 2018 from Avnet Integrated Solutions. 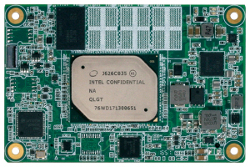 Like similar products, these new modules with Intel’s 8th generation Core processors come with a 15-year lifecycle from the date of introduction, and are designed and produced in Germany. The MSC C6B-CFLH Type 6 COM Express modules in the “Basic” form factor of 125 mm x 95 mm round off the top end of the MSC product portfolio. The boards are offered with three processor variants: Intel Core i7-8850H with 6 CPU cores / 12 threads, i5-8400H with 4 CPU cores / 8 threads, and Intel Xeon E-2176M with 6 CPU cores / 12 threads. A total of up to 32Gbytes of DDR4-2666 DRAM can be inserted in the two SO-DIMM memory module slots on the modules. For the Xeon-based module, security-enhanced ECC memory is supported by the use of corresponding ECC memory modules. 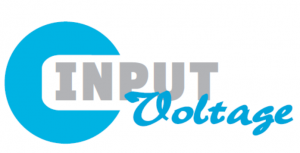 The maximum power consumption of the modules falls between 35 W and 55 W depending on the usage model. The high-end processor boards operate between 0 and 60 °C. 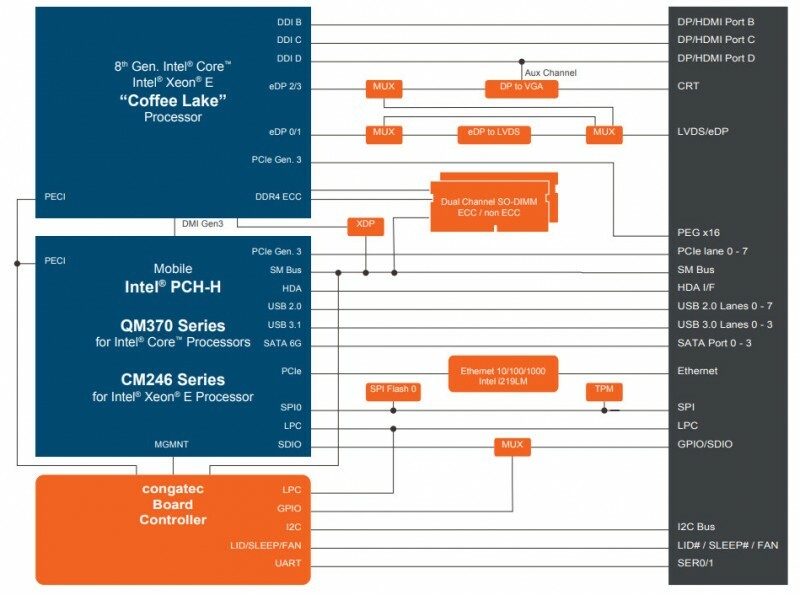 The processors integrate the powerful Intel UHD Graphics, and they are accompanied by the Intel QM370 or C246 Chipsets (PCH). The integrated graphics controller allows triple independent display of max. 4k resolution each, and comes with hardware-based video encoding and decoding up to 4k. DirectX 11.3/12 are supported as well as Open CL 1.2/2.0/2.1 and OpenGL 4.3/4.4/4.5. 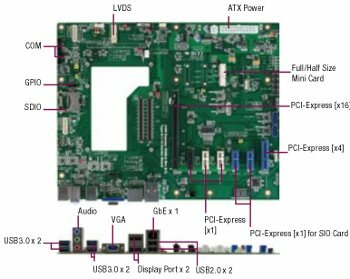 The COM Express modules feature 3x DisplayPort/HDMI/DVI outputs as well as eDP/LVDS, 8x PCI Express Gen 3 x1 lanes and one PEG x16 Gen 3 interface. 4x SATA 6Gb/s, 4x USB 3.0 Gen 1 and 4x USB 2.0 are available plus the TPM 2.0 device for security and encryption. 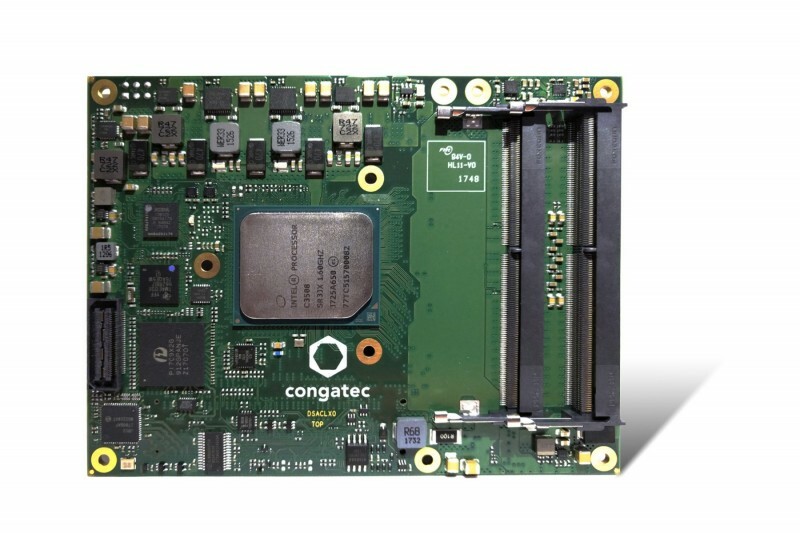 Congatec has introduced the conga-TR4 COM Express Type 6 module based on the new AMD Ryzen Embedded V1000 processors. AMD Ryzen Embedded V1000 processors deliver up to 3X more GPU performance than competitive solutions, and up to 2X increase in performance over previous generations . 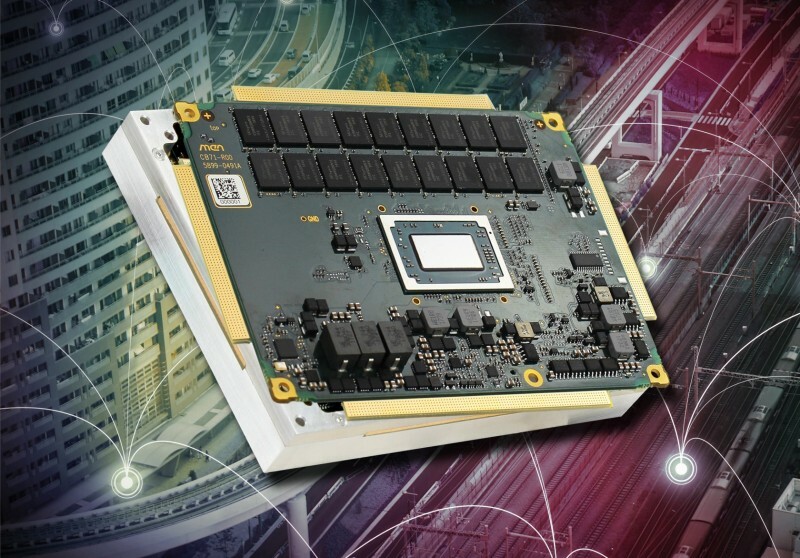 With a TDP that is scalable from 12 W to 54 W, Congatec products based on these new processors can benefit from multiple performance leaps across the TDP range and enormous optimization potential with regards to size, weight, power and costs (SWaP-C) at high graphics performance. 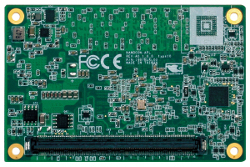 The new Congatec COM Express basic modules are designed for the development of embedded computing systems with impressive graphics performance for applications such as medical imaging; professional broadcasting, infotainment and gambling; digital signage; control rooms and video surveillance; optical quality control and 3D simulators. Other applications include smart robotics and autonomous vehicles that use deep learning to optimize their situational awareness. 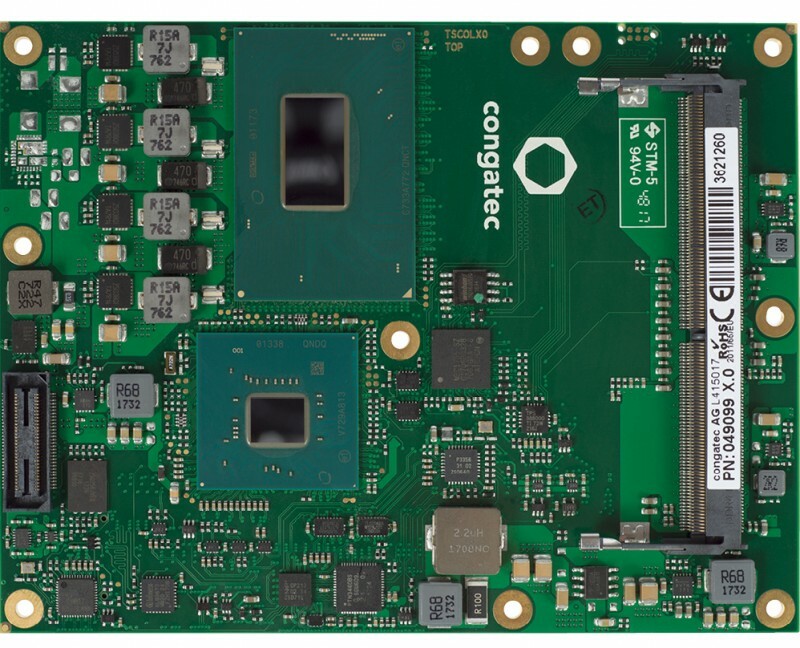 The new conga-TR4 high-performance modules with COM Express Type 6 pinout are based on the latest AMD Ryzen Embedded V1000 multi-core processors. 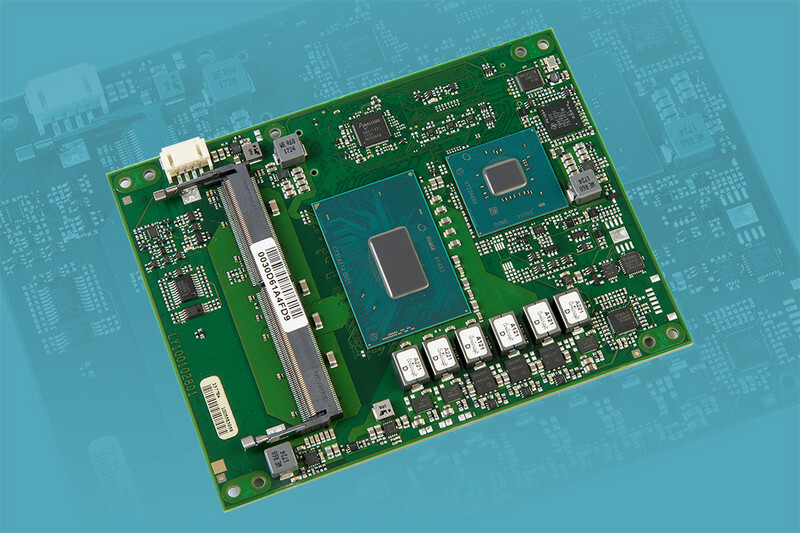 These modules offer up to 52% more processor performance, reaching up to 3.75 GHz. Thanks to symmetrical multiprocessing, they also provide particularly high parallel processing performance. They support up to 32 GB energy-efficient and fast dual-channel DDR4 memory with up to 3200 MT/s and optional ECC for maximum data security. The new integrated AMD Radeon Vega graphics with up to 11 compute units marks the cutting edge of embedded graphics. It supports up to four independent displays with up to 4k UHD resolution and 10-bit HDR, as well as DirectX 12 and OpenGL 4.4 for 3D graphics. The integrated video engine enables hardware-accelerated streaming of HEVC (H.265) video in both directions. Thanks to HSA and OpenCL 2.0 support, deep learning workloads can be assigned to the GPU. In safety-critical applications, the integrated AMD Secure Processor helps with hardware-accelerated encryption and decryption of RSA, SHA and AES. The supported operating systems include Linux, Yocto 2.0 and Microsoft Windows 10, or optionally Windows 7. 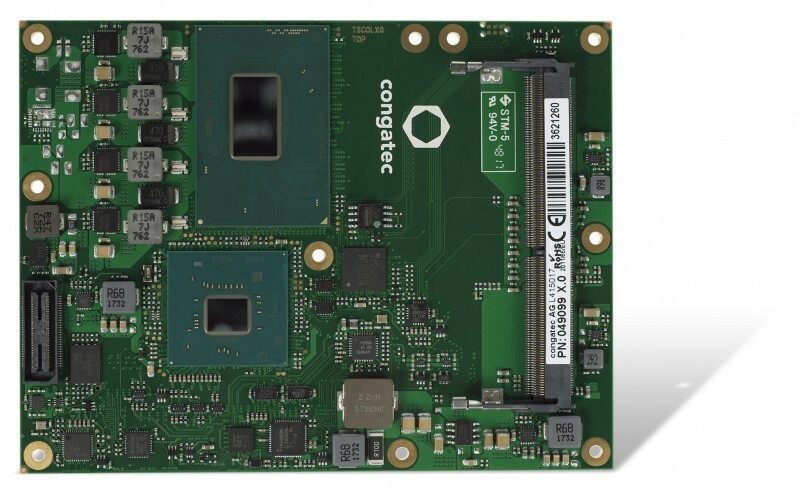 Congatec provides an extensive range of passive and active cooling solutions for workstation designs up to 54W performance, application-ready carrier boards as well as best practice carrier board layouts and circuit diagrams, such as for USB-C implementations, to help simplify the design-in of the modules. Congatec also offers the development of custom carrier boards and module variants.